A cute friendship picture portraying the meaning and value of friendship. Friendship knows no differences. Friendship is the celebration of two hearts. 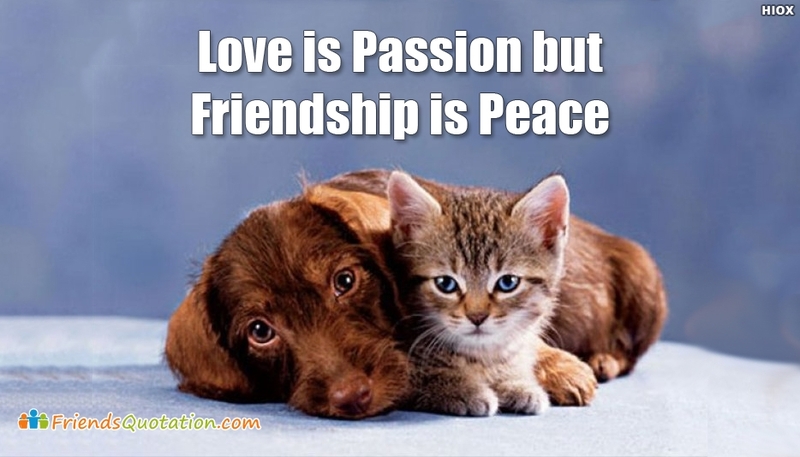 This friendship quotation picture beautifully portrays the friendship between a puppy and a kitten and reads the words "Love is Passion But Friendship is Peace". Share this picture with your dear friends and express your love and care for them.